At the 7-month mark, I was exasperated. 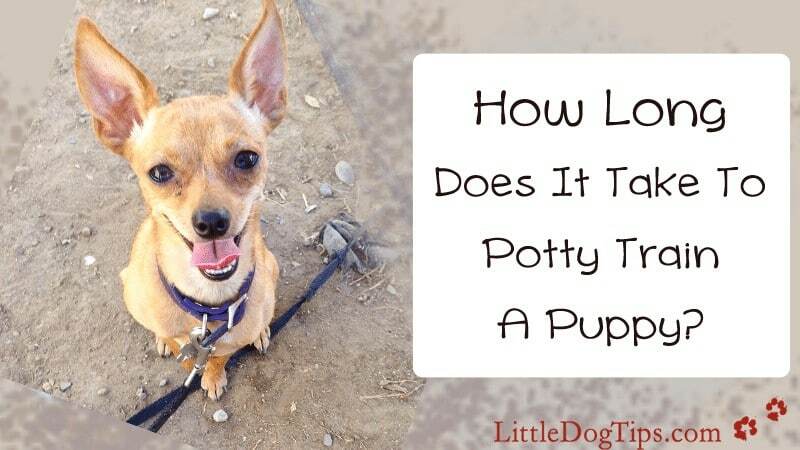 “Should it really be taking this long to potty train my puppy?” I wondered. Matilda was good at using her potty pads, and I celebrated when she relieved herself when I took her out, but she still had occasional accidents. Many people (rightfully) boast when their puppy is potty-trained at 3 months old. It can be done with excellent timing and communication. Very few of those people, however, have small dogs, especially tiny chihuahua mixes and toy breeds. As with anything in life, it’s important to avoid comparing your progress to others. Don’t feel disappointed if it takes your dog a little longer. 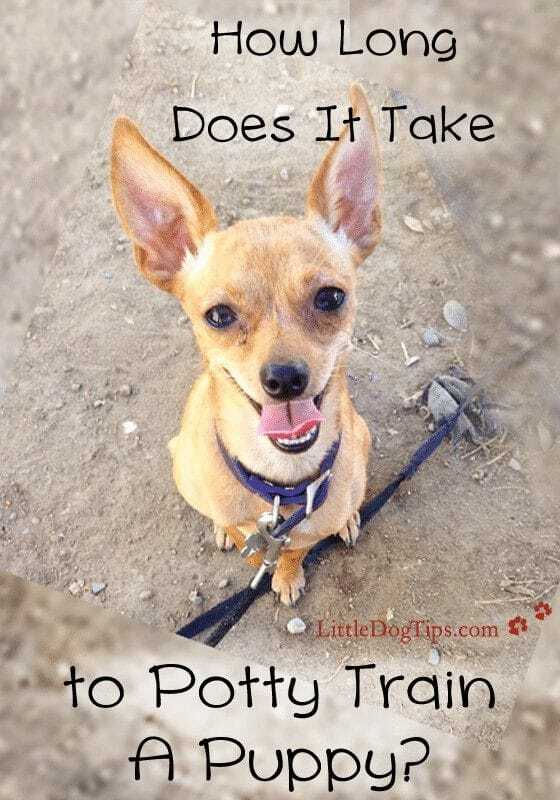 Small dogs are notoriously difficult to potty-train because they have smaller bladders, are more sensitive to potty shyness, and may not know how to communicate their needs with you. Appreciate the progress your dog makes at her own pace. Remember to praise every good poop and pee. In order to move forward in your puppy’s potty-training, you need to look at the underlying reason for your dog’s accidents. Matilda was mostly potty-trained, but she would occasionally run to the bedroom and poop on any clothes that were piled on the floor. I made sure we kept the floor clear. I also watched closely when she darted to her favorite accident spot. It was a sure sign that she had to go. The moment she dashed off, I called her and asked her to ring her potty bell. Within a week, she forgot about the potty haven she had made of crumpled jeans. Clean your dog’s favorite accident spot with enzyme cleaner. That’s the only way to be sure you’re completely removing the scent. Dogs have a tendency to relieve themselves in the same area over and over – their own scent is a signal to use the spot again. 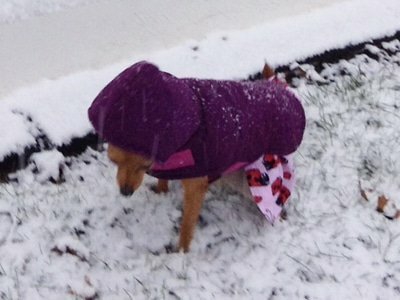 You can hardly blame your dog when she hates to go outside in cold weather. But she can get used to it. If she gets her business done quickly, she’ll be rewarded by getting to go back inside as fast as possible. Keep your dog warm with a sweater or a coat – maybe both. Your dog has a specialized circulation system in her paws that keep them from freezing, but her paw pads can still get cracked from too much exposure to cold or road salt. Shovel out a path and potty area for your dog. Some dogs just need to feel the grass beneath their paws. You can even place a bucket or table on your lawn before snowfall to keep the potty area clear of snow. 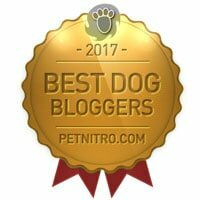 Your dog might seem to run and hide whenever she has to go potty instead of communicating with you that she needs to go out. Some dogs become potty-shy if they are ever scolded for having an accident. While lots of praise can be motivating for some dogs, it can be too overwhelming for others – another contributor to potty shyness. 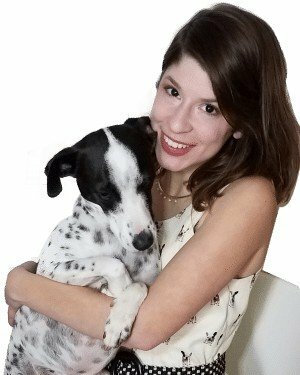 Encourage your dog to communicate with potty bell training. You can ask your dog to ring a bell, spin, bark, or use some kind of signal to let you know she needs to go out. Take your dog for long walks to encourage her to relieve herself while leashed. The scent-rich environment of a walk outside your property and the momentum of the walk will make it impossible for her not to go. When she finally squats, calmly praise her and offer her a treat or toy just as she finishes doing her business. You should walk your dog a few times each day, even if she is normally left outside by herself. When your dog is outside, you need to be there to praise her to reinforce good potty habits. How Long Can Your Puppy “Hold It”? I’m not going to give you a rule like that. I have no idea how long your puppy can hold it. And there’s no way of any of us to know. In fact, I have no idea how long I can hold it. If I did, I would never make my guy stop at a gas station 30 minutes into our road trip. Sometimes, you poop and you poop again 30 minutes later. Sometimes, you drink a lot of water and pee 8 times a day – other times, you might only go 4 times. Human and canine bodies are imperfect. Unpredictable. I highly recommend getting your dog on a regular feeding schedule to help regulate their bowel movements. That won’t help you much with your small dog’s frequent need to pee, however. So, if your dog is having accidents, and you’re wondering if you’re taking them outside often enough – take them out more. If you can’t take your dog out more often, use puppy pads. Otherwise, you might be expecting too much from your dog’s bladder and bowels. Outside-only training does have a major advantage: there’s less confusion about going inside if your dog is never permitted to go inside. But if your dog can’t get outside when she has to go, she’ll have accidents. Outside-only potty training works best if you are willing to wake up early and take your dog out many, many times every day. If you can’t, you may need to use puppy pads, at least until your dog gets older. Then, you can transition from potty pads to outside. Puppy pads do get expensive over time, but you can use heavy-duty pads that last longer, or even get them in bulk from a medical supply store. Newspaper can work too, in a pinch, though the ink tends to rub off on the dog’s fur. Comments: How long did it take you to potty-train your puppy? I just brought home a new puppy…8 weeks old. Her name is Lucy, is a Shih Tzu and is adorable. I took her out to pee at 5:15 this morning (she hadn’t gone since 10:15pm the night before) and after a lot of whimpering (because it is so cold here in Ottawa Canada) she peed. I waited a few minutes, but i guess not long enough because she pooped indoors about half hour later. I dont want to use pee pads and only want her to go outside. However, i feel really mean because of the cold. Is there any way I can encourage her to eliminate in this weather? Should I be feeling mean? I don’t want to get discouraged. Thank you for your advice…it is greatly appreciated. I agree with you that, dogs, especially puppies hate to go outside when it’s cold. My Kyra was just like that and she’s fine now. I have a 7 month old lab puppy. We work and are away from him about 9 hours a day. I trained him to ring the bell when we are home and he does great going potty outside. When we are at work we leave him in the house with pads. He was doing very good only going on the pads but is getting sloppy and missing them now. How do I encourage him to hold it? Or to use the pads if he needs to go? He will use one and then he will tear up the others and go on the floor.